How did you first get started in miniatures? Where does the interest stem from? I already had a dollhouse as a kid and my mom and I bought stuff for it, even when I was a teenager. We never sold it and about 10 years ago, we discovered that there are whole shows only for miniatures. My first visit was to one in Gießen, Germany, and I did not know where to look first, I was overwhelmed. I never knew you could do stuff for your house on your own. That’s when I started my first attempts with Fimo and other materials. In 2009, I attended a workshop a friend of mine taught: orchids. I fell in love with making flowers and that’s what I’m doing now. 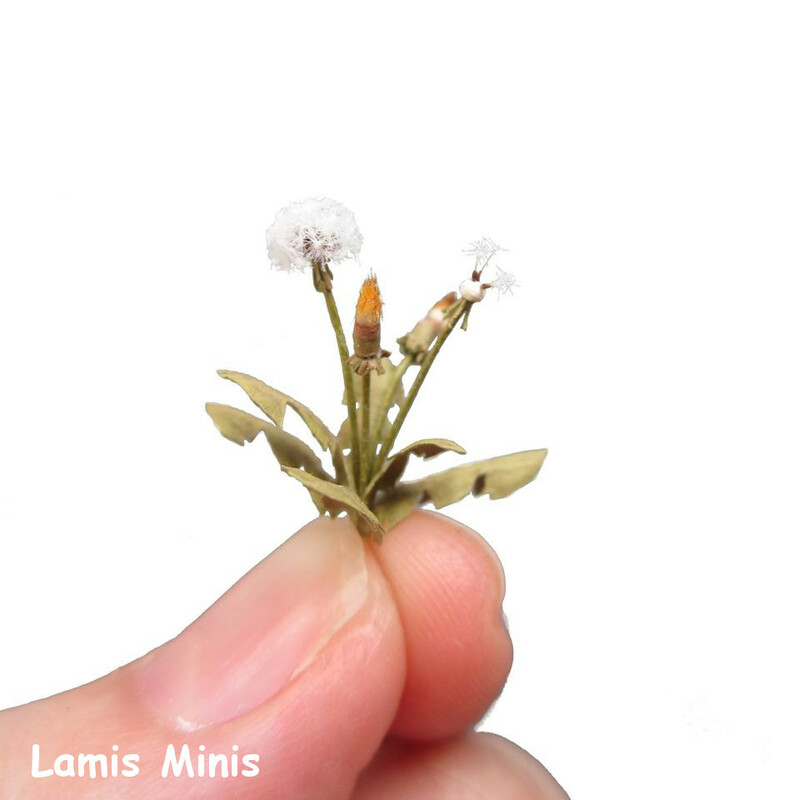 I’ve been making miniatures for 10 years now, and working on miniature flowers for almost 6 years.